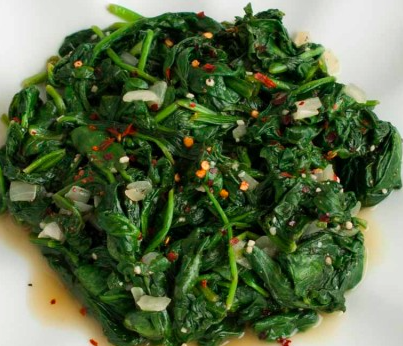 While we are on the topic of Spinach day, here is my favorite spinach and onion dish and it’s recipe. Sweat garlic in olive oil with onion. Continue until onion are fully cooked. Add spinach and sauté until wilted, about a minute. Hit with lemon juice and serve. I’m sure you have a favorite too. Share it here or over on my Facebook page.